Würzburg – the German city of wines A city break to Würzburg is the perfect destination for wine lovers. It’s also a great place for anyone interested in culture, nature – or for students looking for a lively destination. 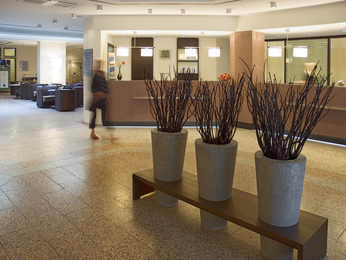 You’ll find AccorHotels in Würzburg in prime locations, so there’s one for any type of visit. So whether you’re a business or city traveller, you’ll find an Accor Hotel in a convenient and traffic-friendly spot. And if you want to go outside the city, you can quickly get to outlying places on public transport. Find a hotel in Würzburg at AccorHotels.com discover the versatility of the city The Würzburg Residence (German: Würzburger Residenz) is an impressive Baroque palace, which is also known as the “palace above all others”. It’s considered the most beautiful palace of the South German Baroque era, and in 1981 was the third building in Germany listed by UNESCO as a World Heritage Site. In the Marienburg Fortress you’ll also find one of the oldest churches in Europe, along with the Mainfränkische museum. Another must-see is the cathedral in Würzburg, which is dedicated to Saint Kilian. Whatever attracts you to the city, comfortable AccorHotels are ideal for a trip to Würzburg – you’ll see what we mean after a long day sightseeing. The main attractions in Würzburg are: - Fortress Marienburg - Residence and courtyard garden - The Old Main Bridge - St. Kilian’s Cathedral - Neumünster - Marienkapelle - Falkenhaus - X-ray Memorial Site Würzburg – wine festivals or large discotheques! There’s always something going on in the city through the Julius Maximilian University of Würzburg and its students. And thanks to the various pubs, bars and clubs in the city, the nightlife is never boring. Take the discotheque “Airport” – one of the oldest nightclubs in Germany and definitely worth a visit. Fancy dancing under palm trees with a waterfall? Try the "Capitol" which is 3,600 square meters of fun. And if you tire of the theatres and operas, try the famous wine festivals, which take place from May to December. In fact, wine lovers can enjoy many guided wine cellar tours and tastings in Würzburg. You’ll find a comfortable Accor Hotel in the perfect location so you can enjoy all that the city has to offer. Würzburg – spring folk festival Booked a hotel room in Würzburg shortly before Easter? Don’t miss the first big folk festival in Bavaria; the two-week event gets 200,000 visitors each year, and is held on the Talavera in the Zellerau district. It’s not just music either – you’ll find 50 amusement rides, food stalls, shooting galleries and also a heated festival marquee. 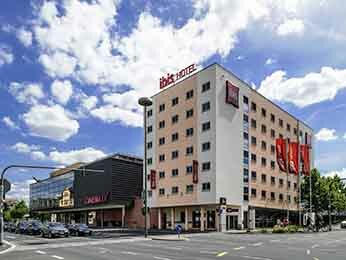 Stay in an Accor Hotel in Würzburg with children, and enjoy special offers on the festival’s family Wednesday. 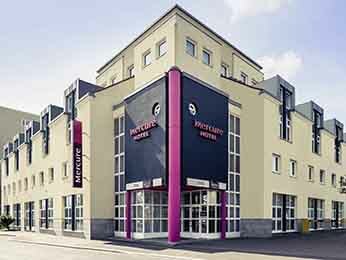 AccorHotels – advantages of our hotels in Würzburg! The Le Club AccorHotels loyalty points, which are offered to guests each time they stay, can be redeemed for great discounts, or coupons for overnight stays. And there are always cheap deals for early bookers, families or weekend travellers. 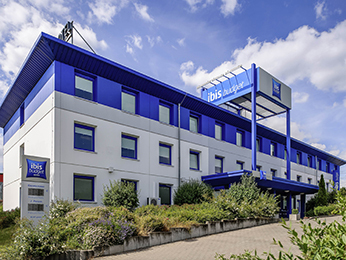 At AccorHotels.com every guest will find the right offer to enjoy cheap and comfortable accommodation in Würzburg.